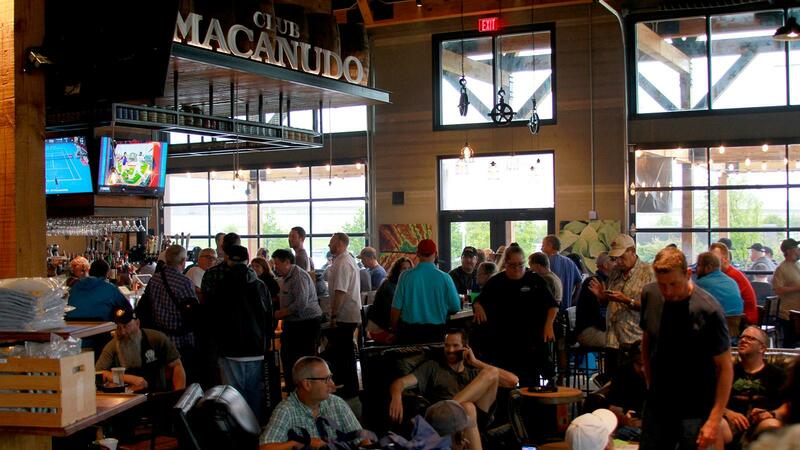 The Super Store's indoor smoking area is branded as a Club Macanudo lounge. 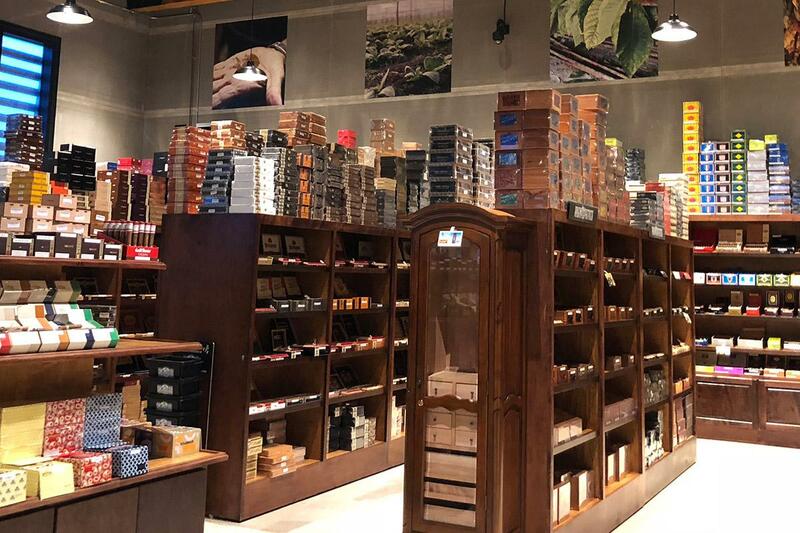 Internet and catalog retail giant Cigars International has opened up a new brick-and-mortar retail location in the Dallas-Fort Worth area called the Cigars International Super Store at the Colony. This is the company’s fourth brick-and-mortar location and its first retail store outside of Pennsylvania. The expansive indoor lounge features plush leather chairs and bar tables. 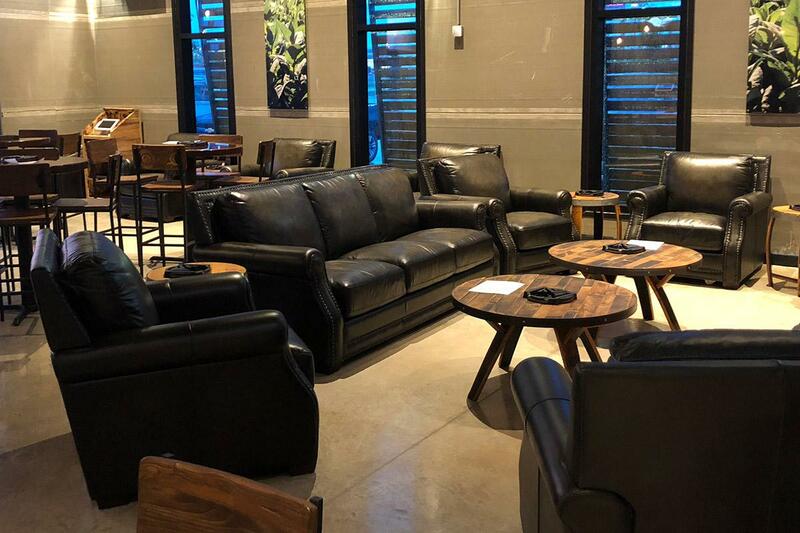 The new store spans more than 7,000 square feet and includes an outdoor smoking lounge, a 2,500 square foot glass-enclosed humidor, a full-service bar, and an indoor smoking area branded as a Club Macanudo lounge. According to the company, the design of the Super Store was inspired by a traditional Northeast tobacco curing barn, constructed with a rectangular shape and a 32-foot-high ceiling. A look inside the Super Store's 2,500 square foot glass-enclosed humidor. The grand opening of the Cigars International Super Store at the Colony took place on September 22nd and is now open to the public. Nestled in a massive, mixed-use development called Grandscape, the Super Store is located at 3800 Plano Parkway, The Colony, Texas, 75056. Cigars International is owned by Danish tobacco company Scandinavian Tobacco Group.